Love your little bunny and the Halloween Fairy looks wonderful. Looks like good progress on some of those projects. So much variety! Congratulations! I like very much your lovely work. Good feast of Easter. You know that I love all your gorgeous projects, but my favorite of this batch is the bunny. It’s an example of how to take a modest little chart, tweak it and turn it into something really special. And you do this kind of thing so well. Happy Easter to you, too! All your projects are really beautiful! Such lovely work! 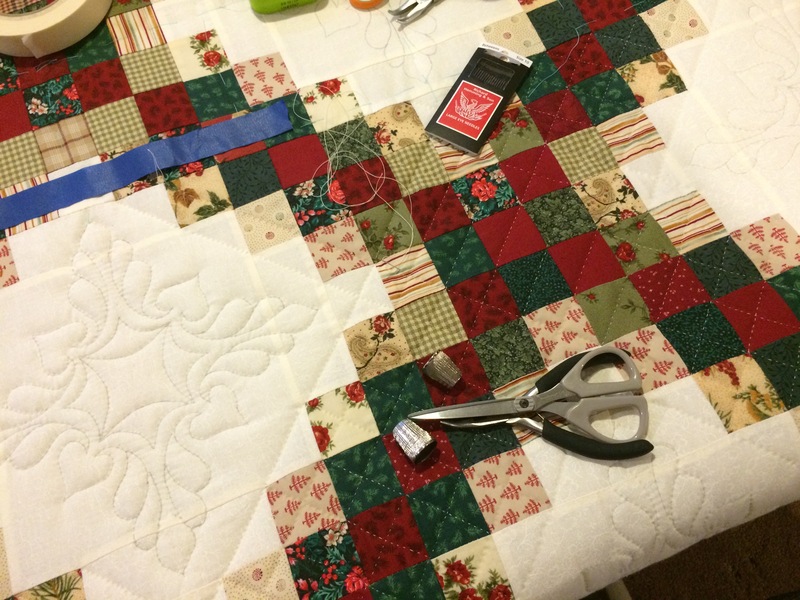 I always enjoy seeing your stitching and quilting. Hope your son is doing better now after his surgery. 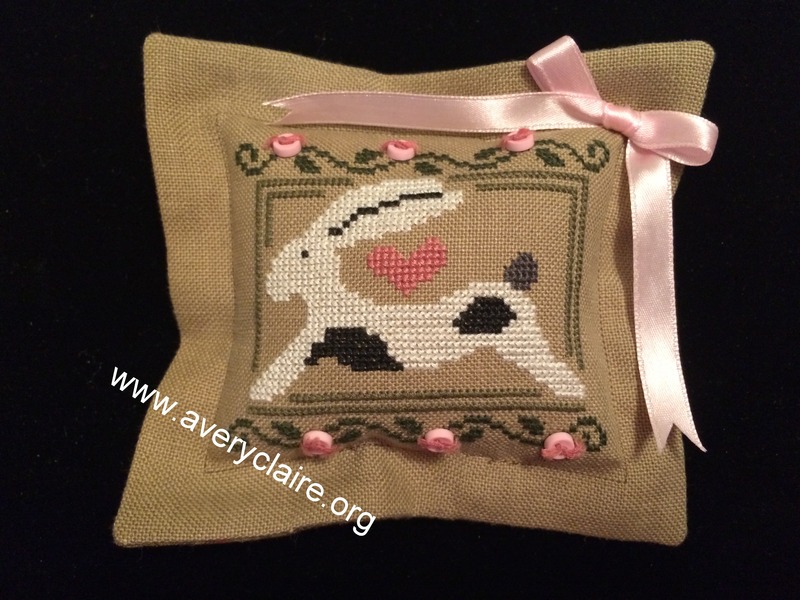 Beautiful stitching , Love the rabbit one . And you halloween one is stunning. Your Bunny is ao sweet. Wonderful projects you are working on. Oh, your little rabbit is just darling!! I’ve stitched him with the alphabet, but like yours better without! 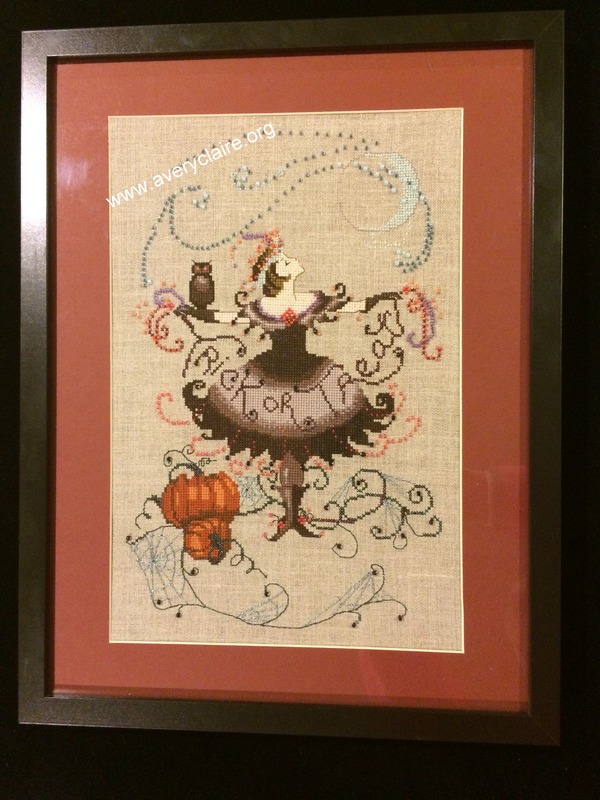 I’ll have to stitch him again… And your framed Halloween fairy and other projects are so lovely–really enjoyed this post. Hope your son is recuperating well–sounds like a very serious operation! Your rabbit is so sweet! 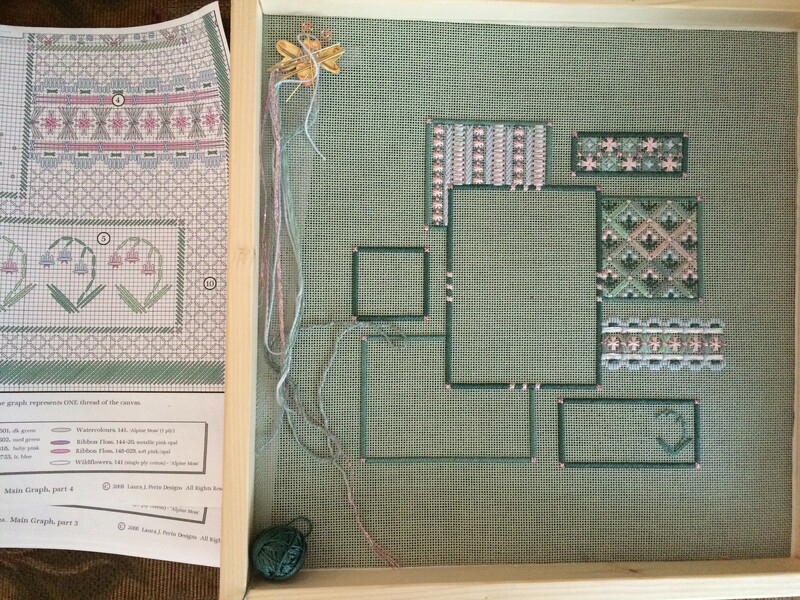 Gorgeous projects you are stitching! Wow, a lovely mixture of projects. 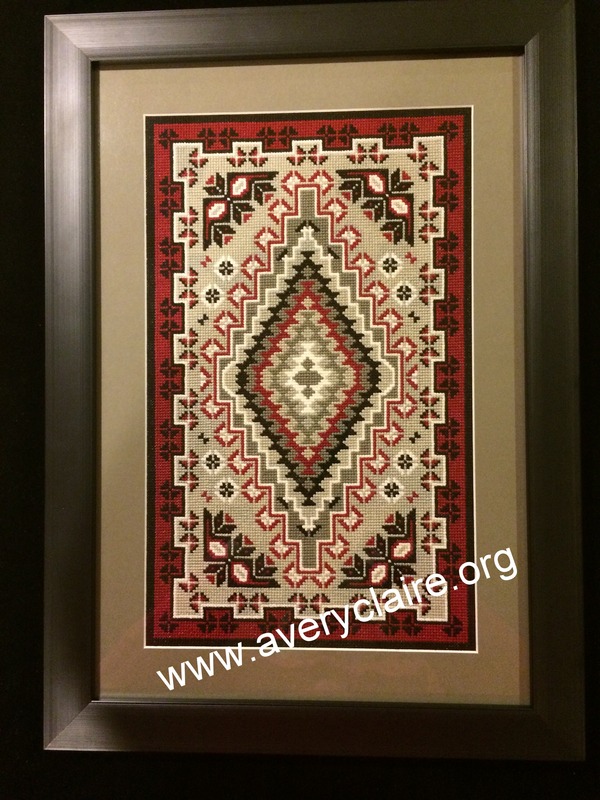 Love the second of the ‘rugs’ for your husband … it could be a great quilt design to o. 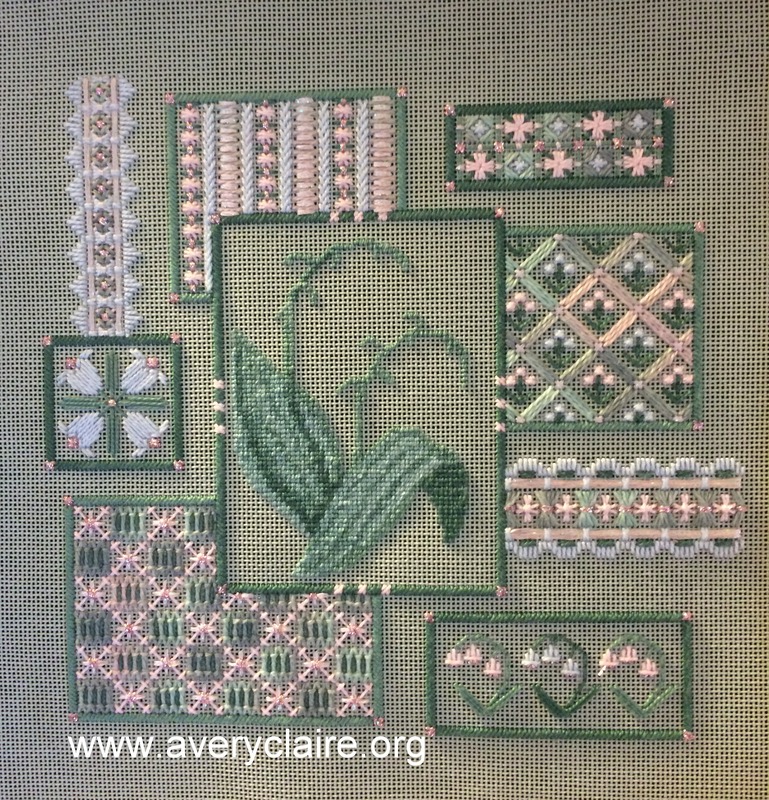 Also love the quilting on the Irish Chain.you have chosen a lovely design. Your finished projects are so beautiful. I love the little bunny pillow and the way you finished it. 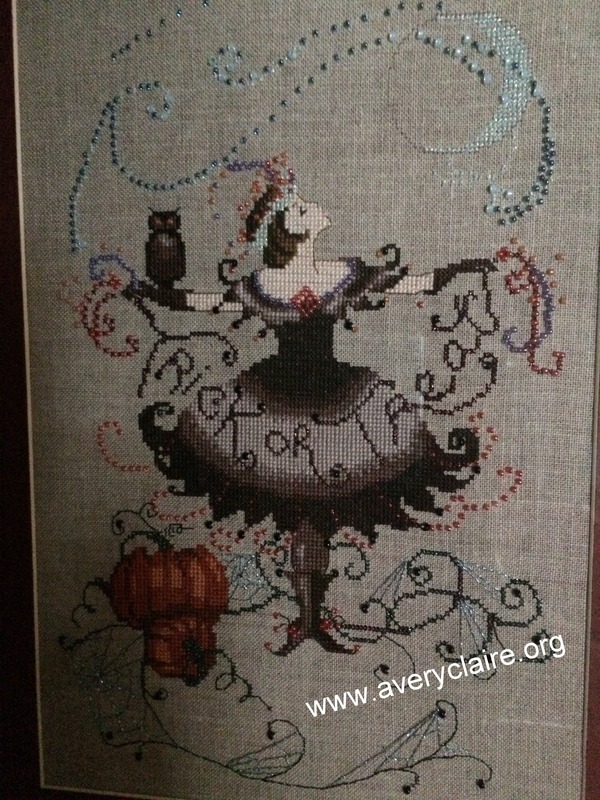 Halloween Fairy is in my to-stitch folder and I want to stitch her really soon. Great WIPs that you have on the go. Your little Easter finish is adorable! 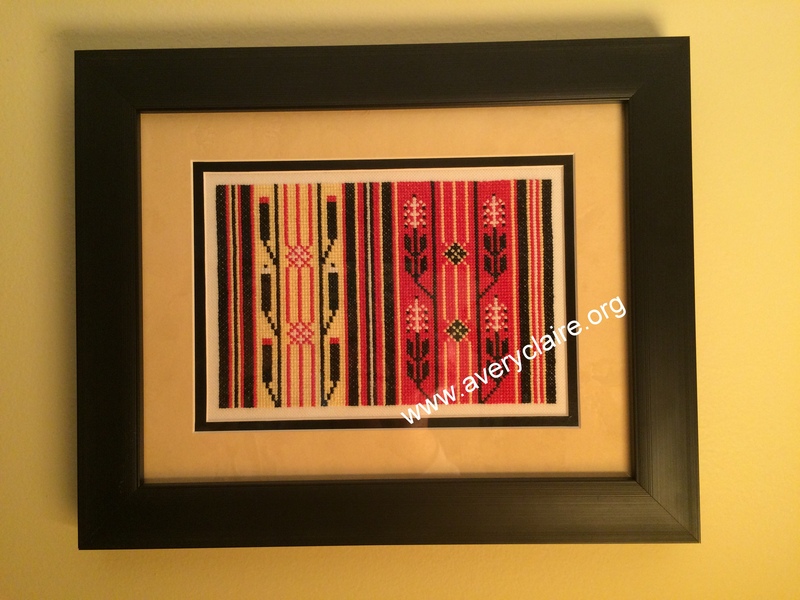 I love the simplicity of your framing really makes your finished pieces stand out beautifully! 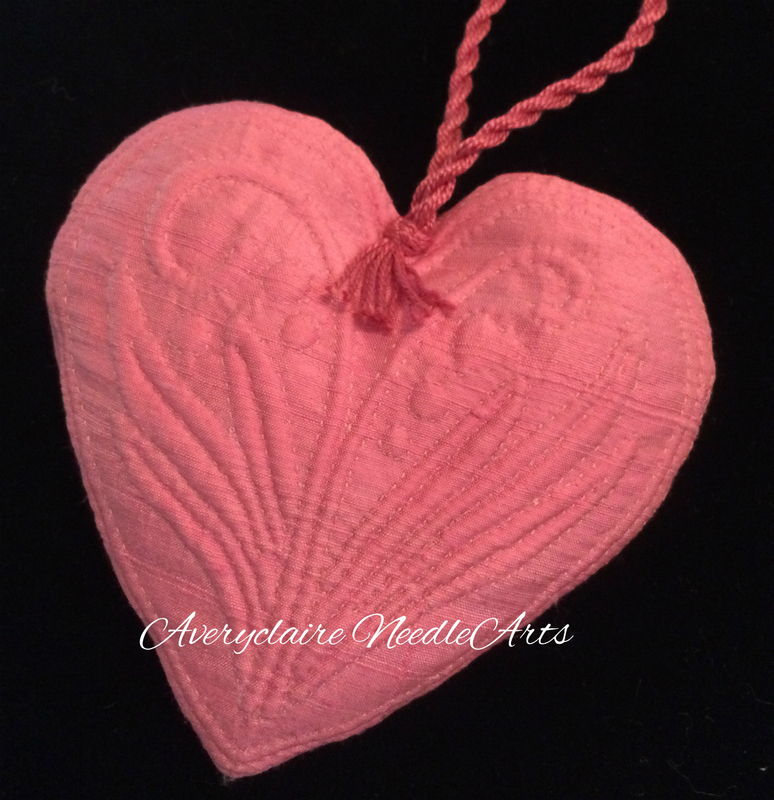 Thanks for stopping by and commenting on my blog. I had to come over to see what you are up to! The bunny pillow is adorable, but than I saw your red and green Double Irish Chain with that beautiful appliqued border. Just gorgeous!